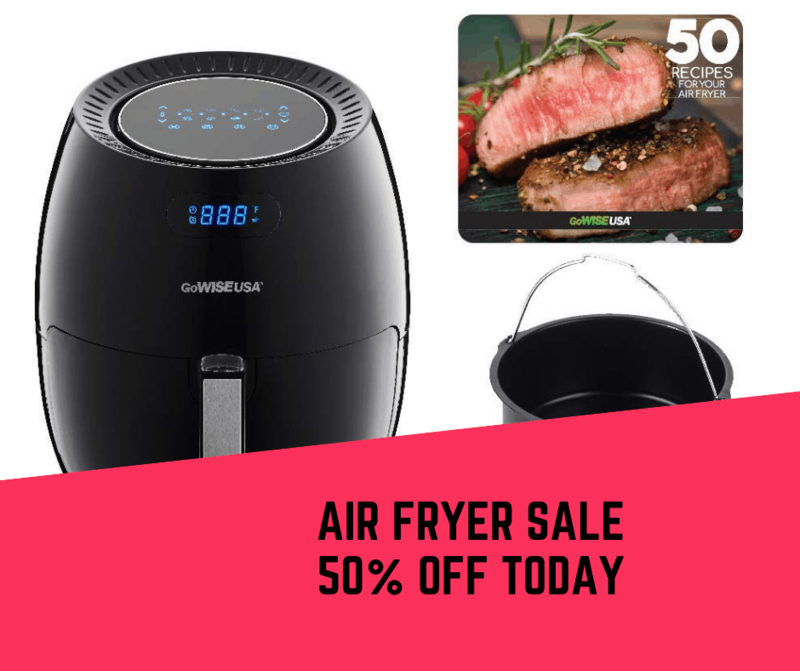 The GoWISE USA Air Fryer allows you to enjoy your favorite fried snacks and food without the added calories. Rapid Air Circulation Technology cooks food by circulating hot air in all directions, ensuring fast and even cooking. This XL air fryer has 8 built-in smart programs including Fries, Pork, Shrimp, Cake, Chicken, Steak, Fish, and Pizza. It offers a wide temperature range from 180◦F-400◦F and a cooking timer for up to 30 minutes. Featuring a new built-in alarm function that reminds the user to shake or check their food in 5, 10, and 15-minute increments. Air frying offers a healthier and easier way to cook, and in 30 minutes or less.